Currently viewing the tag: "method"
This week we turn towards the new issue of Qualitative Inquiry. 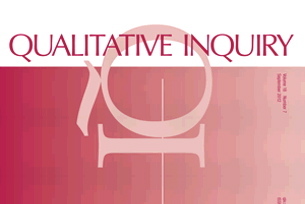 Check out our discussion of the ethics of teaching qualitative interviewing in Hoskins and White's "Relational Inquiries and the Research Interview: Mentoring Future Researchers." In this interview, we chat with Mary and Kenneth Gergen, co-authors of "Playing with Purpose: Adventures in Performative Social Science." The Gergens discuss their long history working with performative methods and the ways that they have tried to incorporate innovative performative methods into their own work.